At present, Lung cancer is the serious and number one cause of cancer deaths in both men and women in worldwide. Cigarette Smoking can be considered as the principle cause for lung cancer. It can arise in any portion of the lung, but the lung cancer 90%–95% are thought to arise from the epithelial cells, this cells lining the bigger and smaller airways (bronchi and bronchioles). Mainly this paper focus on diagnosing the lung cancer disease using various classification algorithm with the help of python based data mining tools. For this purpose, Lung Cancer dataset has been collected from UCI machine learning repository. Three types of pathological cancers have been illustrated in the datasets. 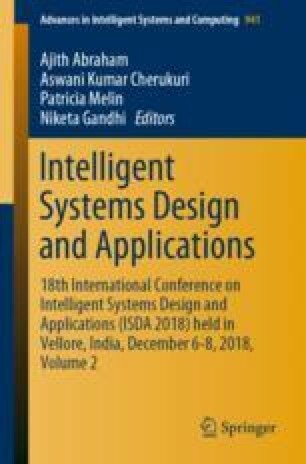 In this research paper, the proficiency and potentiality of the classification of Naïve Bayes, Logistic Regression, K-Nearest Neighbors (KNN), Tree, Random Forest, Neural Network in examining the Lung cancer dataset has been investigated to predict the presence of lung cancer with highest accuracy. Performance of the classification algorithms has been compared in terms of classification accuracy, precision, recall, F1 score. Finding out the confusion matrix, Classifier’s overall accuracy, user and producer accuracy individually for each classes and value of kappa statistics have been determined in this paper. Area under Receiver Operating Characteristic (ROC) curve and distribution plot of the mentioned classifiers have also been showed in this paper. This paper also implemented Principal component analysis (PCA) and visualized classification tree, Multidimensional scaling (MDS) and Hierarchical Clustering.